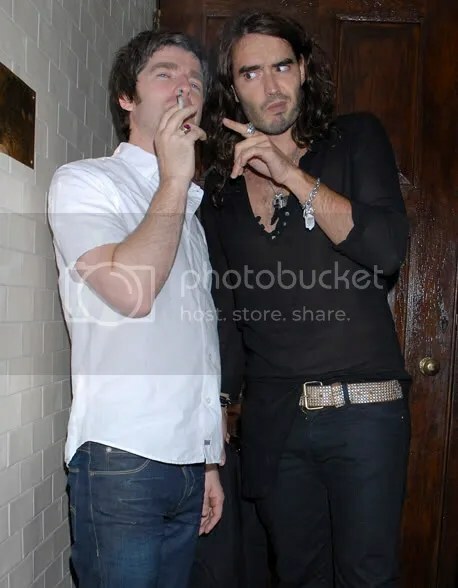 Russell Brand has said his latest film role has been inspired by the likes of Liam and Noel Gallagher, Mick Jagger, David Bowie and Morrissey. The comic is currently filming for Get Him To The Greek, which sees him reprise his character Aldous Snow from 2008 film Forgetting Sarah Marshall. To be honest I wasn’t that excited for this movie when I saw the trailer, but after considering how close Brand is with a lot of my heroes, maybe his performance will be pretty authentic. This entry was posted on 14 April, 2010 at 12:00 pm and is filed under Uncategorized. You can follow any responses to this entry through the RSS 2.0 feed. You can leave a response, or trackback from your own site.